This post was sponsored by Nestle La Lechera Sweetened Condensed Milk. All opinions expressed on my site are my own. When I was a kid, after-school snacks were the best. Even today after school snacks are still the best, now they are just after-work snacks. In Puerto Rico, after a long hot day at school my sister and I would grab a snack and sit on el balcón (front porch) to cool off and see the neighborhood activity. 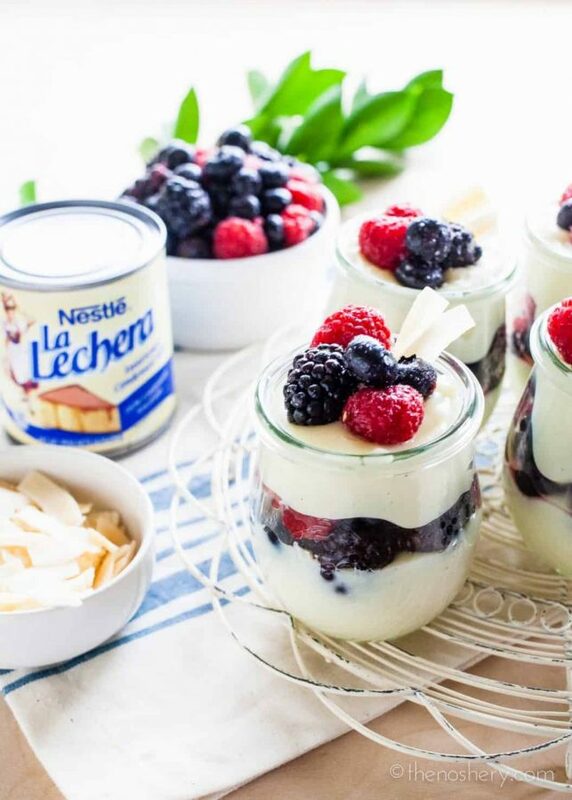 Mami would always have after-school snacks stocked, but if we were lucky we would find tembleque in the refrigerator – a creamy Puerto Rican coconut pudding. I loved tembleque because it’s particularly refreshing because of its coconut flavor. One of my favorite after-school treats was pudding cups. What kid doesn’t love pudding cups? 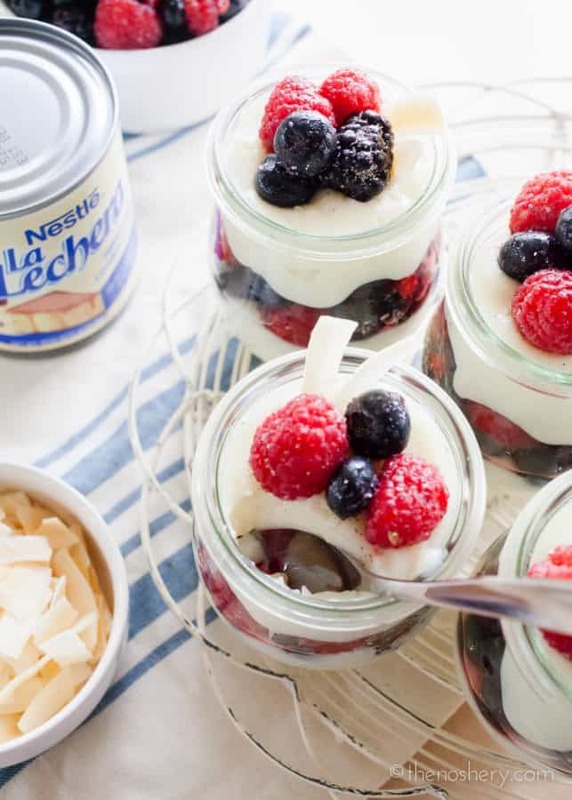 They’re sweet, creamy, fit in little hands, and they are eaten with a little spoon! Pudding is pretty awesome, but tembleque was and still is the best! Of all the pudding treats Mami made, tembleque was extra special. Without a doubt tembleque is my favorite, and it’s the easiest to make. 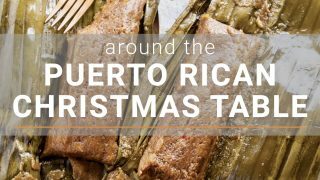 Tembleque is a traditional Puerto Rican dessert. If you’ve never had it, you must! It’s the creamiest coconuttiest dessert! It is a coconut pudding that is set using a cornstarch slurry instead of eggs. Tembleque comes from tiembla, which means shake. Traditionally it’s poured into a mold and served in squares. When it sets it jiggles a little, hence tembleque. Combining my memories of after-school pudding cups and tembleque, I decided to make templeque cups! 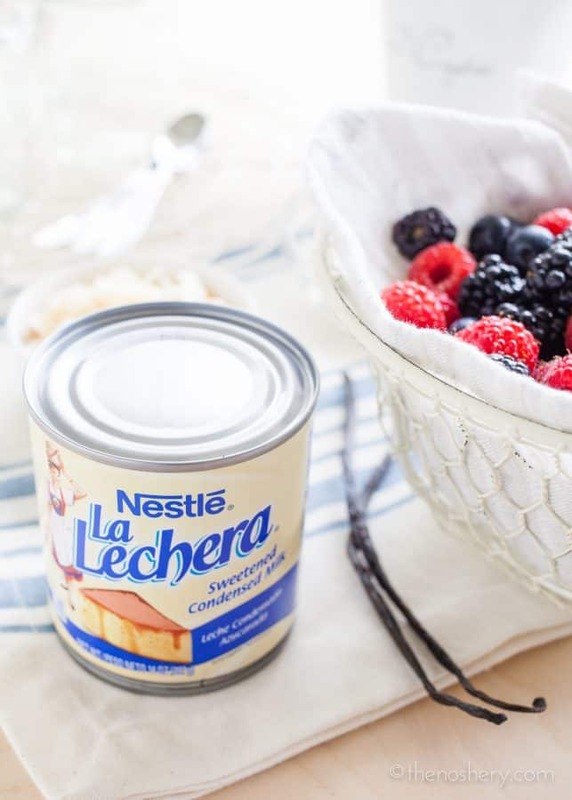 These little tembleque cups are made with La Lechera Sweetened Condensed Milk making them perfectly creamy and just the right amount of sweetness. They turn out with a softer creamier texture, making them perfect for individual cup servings. 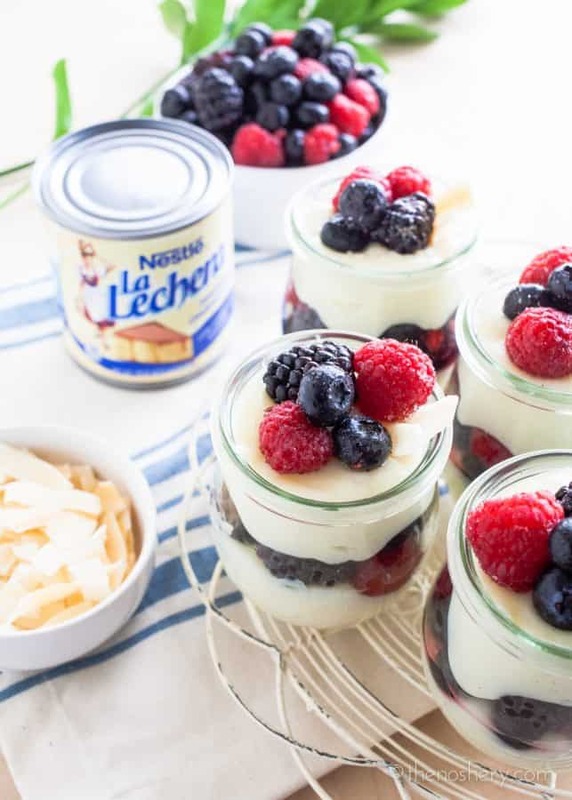 The fruit is tossed in a vanilla bean sugar and tucked between layers of creamy coconut pudding. These tembleque cups are the perfect snack for anytime of the day and very easy to make. 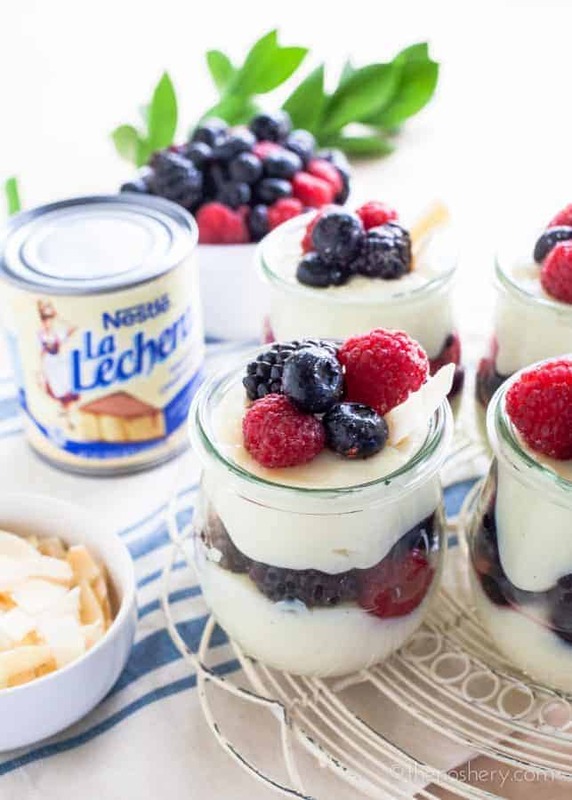 I layered the cups with berries, but you can also use cubed stone fruit or even a tropical fruit mixture of pineapple, mango, and papaya or leave the fruit out altogether. They are a great treat for the kids and pretty enough to serve at a party. Cut the vanilla bean in half lengthwise and scrape out the caviar. In a small bowl combine vanilla bean caviar and sugar, using your fingers combine vanilla bean and sugar. Toss berries with vanilla sugar and set aside. If using vanilla extract add sugar, vanilla and berries in a bowl and toss. In a sauce pot combine coconut milk, whole milk, coconut extract, and La Lechera Sweetened Condensed Milk, whisk until well combined. Ladle out 1 cup of milk mixture into a small bowl. Add cornstarch to separated milk mixture and whisk until well combined. Add cornstarch mixture to the pot. Heat over medium-high heat, constantly whisking, for 5 minutes or until reaches a creamy pudding consistency. Quickly spoon into cups, layering with berries. If the pudding becomes too thick whisk in whole milk 1 tablespoon at a time until it reaches desired consistency. Cover loosely with plastic wrap and let cool in the refrigerator for 1 hour. Garnish with coconut chips. Depending on the size of your cups you could possibly get five servings.